"In the mouth of three witnesses shall these things be established." The prophet Nephi foresaw that the gold plates of the Book of Mormon would be “hid from the eyes of the world” and that “the eyes of none shall behold it save it be that three witnesses shall behold it, by the power of God” and “none other … shall view it, save it be a few according to the will of God” (2 Nephi 27:12–13). Moroni further declared that “in the mouth of three witnesses shall these things be established” (Ether 5:4). Golden plates and other artifacts. Image via Wikimedia commons. As described by President Ezra Taft Benson, the testimony of the Three Witnesses was a part of the Lord’s “built in … proof system of the Book of Mormon.”35 Moroni declared that accompanying these three earthly witnesses would be three heavenly witnesses—“the Father, and the Son, and the Holy Ghost”—and that at the last day these combined witnesses would “stand as a testimony against the world” (Ether 5:4). 1. For the role that 2 Nephi 27:12 and Ether 5:2–4 played in generating interest for the three witnesses to seek a divine manifestation, see John W. Welch, “The Miraculous Translation of the Book of Mormon,” in Opening the Heavens: Accounts of Divine Manifestations, 1820–1844, ed. John W. Welch (Salt Lake City and Provo, UT: Deseret Book and BYU Press, 2005, 2nd edition 2017), 115–117, n. 111. Accompanying the prophetic promises about the three witnesses found in the Book of Mormon is also a revelation recorded in Doctrine and Covenants 5:11–15. Moreover, Joseph apparently obtained the Lord’s approval before venturing into the woods with the prospective witnesses. See Steven C. Harper, “The Eleven Witnesses,” in The Coming Forth of the Book of Mormon: A Marvelous Work and a Wonder, ed. Dennis L. Largey, Andrew H. Hedges, John Hilton III, and Kerry Hull (Salt Lake City and Provo, UT: Deseret Book and Religious Studies Center, Brigham Young University, 2015), 118; Lucy Mack Smith, History, 1844–1845, p. 11, online at josephsmithpapers.org. 2. For further information regarding the interest and preparations of the witnesses, see Richard Lloyd Anderson, Investigating the Book of Mormon Witnesses (Salt Lake City, UT: Deseret Book, 1981), 7–9. 3. This vision actually took place in two stages. Initially, these companions all joined in prayer together, but after their second failed attempt Martin Harris withdrew himself, “believing ... that his presence was the cause of [their] not obtaining” the witness they desired. With Martin Harris departed, Joseph Smith, Oliver Cowdery, and David Whitmer jointly experienced the reported vision. Soon after this, Joseph Smith found Martin and joined him in prayer. It wasn’t long before Joseph Smith and Martin Harris experienced the same vision the other companions had witnessed. History, 1838–1856, volume A-1, p. 24–25, online at josephsmithpapers.org. 4. History, 1838–1856, volume A-1, p. 25, online at josephsmithpapers.org. 5. See History, 1838–1856, volume A-1, p. 25, online at josephsmithpapers.org. 6. For the prophetic promise that they would behold these items, see Doctrine and Covenant 17:1. For a discussion of these items’ evidentiary value, see Daniel C. Peterson, “Tangible Restoration: The Witnesses and What They Experienced,” 2006 FairMormon Conference presentation, 31–33, online at fairmormon.org. 7. A few days afterwards, the Eight Witnesses handled the plates which were shown to them by Joseph Smith in Manchester, New York. 9. See Anderson, Investigating the Book of Mormon Witnesses, 9. 10. See Richard Lloyd Anderson, “Book of Mormon Witnesses,” (FARMS Transcripts, 1994), 9. 11. See Welch, “The Miraculous Translation of the Book of Mormon,” 90–91, 143. 12. Richard Lloyd Anderson, “A Brief Biography of Oliver Cowdery,” in Oliver Cowdery: Scribe, Elder, Witness, ed. John W. Welch and Larry E. Morris (Provo, UT: Neal A. Maxwell Institute for Religious Scholarship, 2006), 1. 13. See Steven C. Harper, “Oliver Cowdery as Second Witness of Priesthood Restoration,” in Days Never to Be Forgotten: Oliver Cowdery, ed. Alexander L. Baugh (Provo, UT: Religious Studies Center, Brigham Young University, 2009), 73–89. 14. Welch, “The Miraculous Translation of the Book of Mormon,” 143 (spelling standardized). For further information regarding Miller’s account of Oliver Cowdery’s testimony, see Richard Lloyd Anderson, “Reuben Miller, Recorder of Oliver Cowdery's Reaffirmations,” in Oliver Cowdery, 401–417. 15. Anderson, Investigating the Book of Mormon Witnesses, 53–54. 16. Gerrit J. Dirkmaat and Michael Hubbard MacKay, “Joseph Smith’s Negotiations to Publish the Book of Mormon,” in The Coming Forth of the Book of Mormon, 168. 17. See Richard E. Bennett, “Martin Harris’s 1828 Visit to Luther Brandish, Charles Anthon, and Samuel Mitchell,” in The Coming Forth of the Book of Mormon, 103–115. 18. Statement of William M. Glenn to O. E. Fischbacher, May 30, 1943, Cardston, Alberta, Canada, cit. Deseret News, October 2, 1943, as cited in Anderson, Investigating the Book of Mormon Witnesses, 116. 19. See Anderson, Investigating the Book of Mormon Witnesses, 118. For a treatment of Martin Harris’s final years, see Susan Easton Black and Larry C. Porter, “‘Rest Assured, Martin Harris Will Be Here in Time,’” Journal of the Book of Mormon and Other Restoration Scripture 20, no. 1 (2011): 5–27. 20. See Richard Lloyd Anderson, “The Whitmers: A Family That Nourished the Church,” Ensign, August 1979, online at lds.org. 21. Anderson, Investigating the Book of Mormon Witnesses, 79. 22. Anderson, Investigating the Book of Mormon Witnesses, 90. 23. Journal of Angus Cannon, January 7, 1888. Cp. Cannon’s Tabernacle speech, Deseret Evening News, February 12, 1888, as cited in Anderson, Investigating the Book of Mormon Witnesses, 92. 24. For treatments of Nephi’s use of this ancient legal standard, see Bruce A. Van Orden, “The Law of Witnesses in 2 Nephi,” in The Book of Mormon: Second Nephi, The Doctrinal Structure, ed. Monte S. Nyman and Charles D. Tate Jr. (Provo, UT: Religious Studies Center, Brigham Young University, 1989), 307–321; Bruce A. Van Orden, “‘We Prophesy of Christ’: The Law of Witnesses in 2 Nephi,” Ensign, February 1990, online at lds.org. 25. See John W. Welch, The Legal Cases in the Book of Mormon (Provo, UT: BYU Press and Neal A. Maxwell Institute for Religious Scholarship, 2008), 89–99 for a discussion of the role of witnesses in ancient Israelite judicial procedures. 26. John W. Welch, “The Power of Evidence in the Nurturing of Faith,” in Echoes and Evidences of the Book of Mormon, ed. Donald W. Parry, Daniel C. Peterson, and John W. Welch (Provo, UT: FARMS, 2002), 31. 27. Joseph Smith taught that the Three Witnesses were essential elements in building the kingdom of heaven on the earth: “The kingdom of heaven is like unto leaven which a woman took and hid in three measures of meal, until the whole was leavened. It may be understood that the church of the Latter Day Saints, has taken its rise from a little leaven that was put into three witnesses. Behold, how much this is like the parable: it is fast leavening the lump, and will soon leaven the whole.” “Letter to the Elders of the Church, 30 November–1 December 1835,” p. 228, online at josephsmithpapers.org. 28. Harper, “The Eleven Witnesses,” 119; also published as “Evaluating the Book of Mormon Witnesses” Religious Educator 11, no. 2 (2010): 37. 29. Neal Rappleye, “‘Idle and Slothful Strange Stories’: Book of Mormon Origins and the Historical Record,” Interpreter: A Journal of Mormon Scripture 20 (2016): 29. 30. For a discussion of these increasing trends, see Dallin H. Oaks, “Stand as Witnesses of God,” Ensign, March 2015, 31–33, online at lds.org. 31. Anderson, Investigating the Book of Mormon Witnesses, 53. For over 75 such statements by those close to the translation process, see Welch, “The Miraculous Translation of the Book of Mormon,” 129–164. See also, Richard Lloyd Anderson, “The Credibility of the Book of Mormon Translators,” in Book of Mormon Authorship: New Light on Ancient Origins, ed. Noel B. Reynolds and Charles D. Tate (Provo, UT: FARMS, 1996), 213–237. 32. 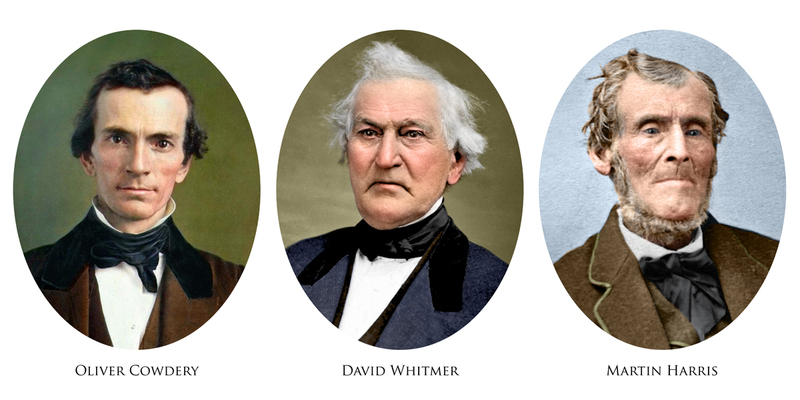 With their lives at stake, David Whitmer, Oliver Cowdery, and Hiram Page stood firmly by their testimonies. See Mitchell K. Schaefer, “‘The Testimony of Men’: William E. McLellin and the Book of Mormon Witnesses,” BYU Studies 50, no. 1 (2011): 109. 33. See Anderson, Investigating the Book of Mormon Witnesses, 184–190. 34. Jacob Forsberry Gates (son of Jacob Gates), signed and notarized affidavit, 30 January 1912, LDS Church Archives; published in Improvement Era 15, no. 5 (1912): 418–419; as cited in Scott H. Faulring, “The Return of Oliver Cowdery,” in Oliver Cowdery: Scribe, Elder, Witness, 362. 35. Ezra Taft Benson, “The Book of Mormon and the Doctrine and Covenants,” Ensign, May 1987, online at lds.org.